The G.O.A.T gets a much-deserved MVP and ends his career with back-to-back championships. Super Bowl XXXIII - played Jan. 31, 1999, in Miami - was the 180-degree opposite experience for the Denver Broncos from the year prior when they beat the then-reigning champion Green Bay Packers on a batted-down pass in the final minute of the game. This time they were the favorites. This time they had no monkey on their back for not having won a world championship. This time they were facing an inferior NFC team. 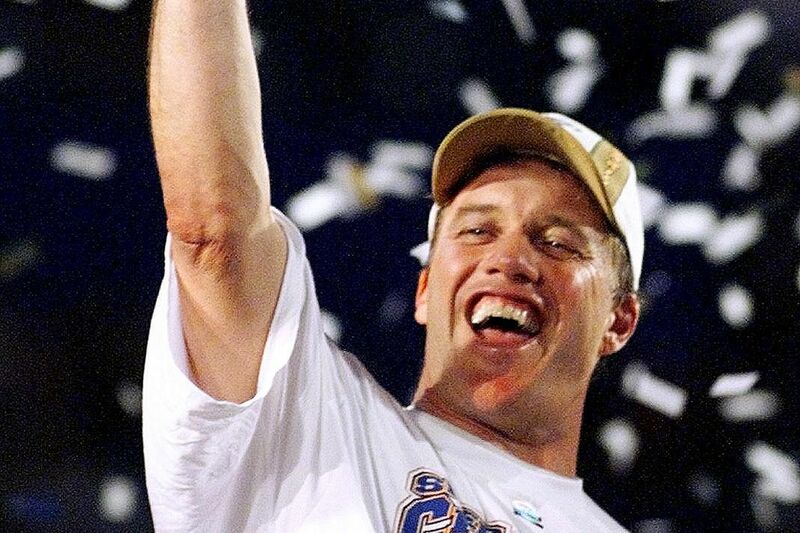 And it couldn’t have gone any better for John Elway. What turned out to be Elway’s final game in the NFL, the 38-year-old QB threw for 336 yards and combined for one passing and one rushing touchdown to earn the Super Bowl MVP as the Broncos shot down the Dirty Birds, 34-19. MVP John Elway (336 pass yds, 1 pass TD, 1 rush TD) closes out his HOF career & the Falcons, 34-19, for #Broncos 2nd Super Bowl title. Just about everything was good for the Broncos in this game, which started out as a defensive stand for Denver. Threatening from the Broncos 8-yard line on their opening drive, Atlanta Falcons’ quarterback Chris Chandler was sacked by Bill Romanowski for a 7-yard loss on third down, forcing Atlanta to settle for Morten Andersen’s 32-yard field goal and just a 3–0 lead. The Broncos responded with an 80-yard scoring drive, capped off by a Howard Griffith touchdown to go ahead 7-3. Following a rare missed field goal by Morten Andersen in the second quarter that could have inched the Falcons closer to the Broncos at 10-6, Elway responded with an 80-yard TD pass to No. 80 Rod Smith, effectively sealing the Falcons’ fate with a 17-3 Broncos’ lead. By the fourth quarter, the Broncos were running away with the game, scoring two rushing touchdowns in just under four minutes from Griffith and Elway, putting the game out of reach. The Super Bowl win was climatic finish for the team that had gone 14-2 on the regular season, nearly pulling out a perfect record before losing to New York and Miami in Weeks 15 and 16. Terrell Davis cemented his dominance that year by turning in the team’s first 2,000-yard rushing season with a regular season total of 2,008 yards. But the now Hall-of-Famer turned in another 468 yards in the postseason that year. For the Broncos, about the only “bad” moment in the Super Bowl was losing Hall-of-Fame tight end Shannon Sharpe to a knee injury in the first quarter. Elway also threw one interception on a pass that bounced off Sharpe’s helmet. It was truly a dominating performance by Elway and his Broncos. The “ugly” part of this Super Bowl really revolved around two events that happened outside of the game. First was an event that happened to Falcons’ safety Eugene Robinson, who was arrested the night before the Super Bowl for soliciting a prostitute. The situation served as a huge distraction for the Falcons - and though it may have had no effect on the outcome of the game, it added a dark element to a game that should have been the highlight of the season. Worst of all, Robinson had been given the Athletes in Action/Bart Starr Award by the Fellowship of Christian Athletes, an honor given annually to a player who best exemplifies “outstanding character and leadership in the home, on the field and in the community” earlier that day. The “second” was the media-enhanced hatred between John Elway and his former coach Dan Reeves, who in his second year as the Falcons’ head coach had turned the team around and gotten them in Super Bowl contention. Though the tension between Elway and Reeves was real, the played-up story was overblown as media thirsts for stories and contrived drama the week of the Super Bowl. But it was divisive and served to taint Reeves’ time in Denver for many years. The relationship has since been repaired enough for Reeves to have been appropriately honored by the franchise and Elway and inducted into the Broncos Ring of Fame in 2014.